The Lord is moving in the Mid-Atlantic region! The Mid-Atlantic Work Fund (the Fund) has been created to provide opportunities for individuals and churches to participate in the move, and is being administered by the Church in Washington, DC. This web page describes how contributions can be made to the Fund. It also describes the burden and administration of the Fund. Contributions to the Fund (recognized as tax-deductible donations to the Church in Washington, DC) will be accepted from both individuals and churches primarily in the Mid-Atlantic region. One-time and periodic donations are both acceptable. Contributions from individuals are to be understood as being in addition to the regular offering to the local churches. This fund is intended to support all manner of full-timers for the furtherance, spread, and establishment of the Gospel, including young peoples’ workers, community workers, language workers, and those who serve in more than one capacity (e.g., young people and college). This fund is not meant to replace the current organic support by the churches. This fund is not intended to support an existing work in a particular locality. This fund is not to support Full-Time Training in Anaheim trainees. 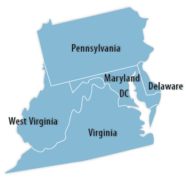 In fellowship with the co-workers and the churches in various regions of North America, the Mid-Atlantic Work Fund has been established with the Church in Washington, DC, for the express intention of supporting full-time serving ones in a new locality where local support is insufficient to further, spread, and establish the Gospel in that locality. Management of the Fund will be in coordination and fellowship among designated responsible brothers from churches in the Mid-Atlantic region. All disbursements are to be considered under much prayer and fellowship and agreed upon by unanimous decision. Disbursements are to come from the Fund as a separate account of the Church in Washington, DC.